“Toscanini never had access to a voice like hers – she can sing a high C at nine in the morning.” This is what Herbert von Karajan said of the celebrated soprano with whom he had worked for 17 years. 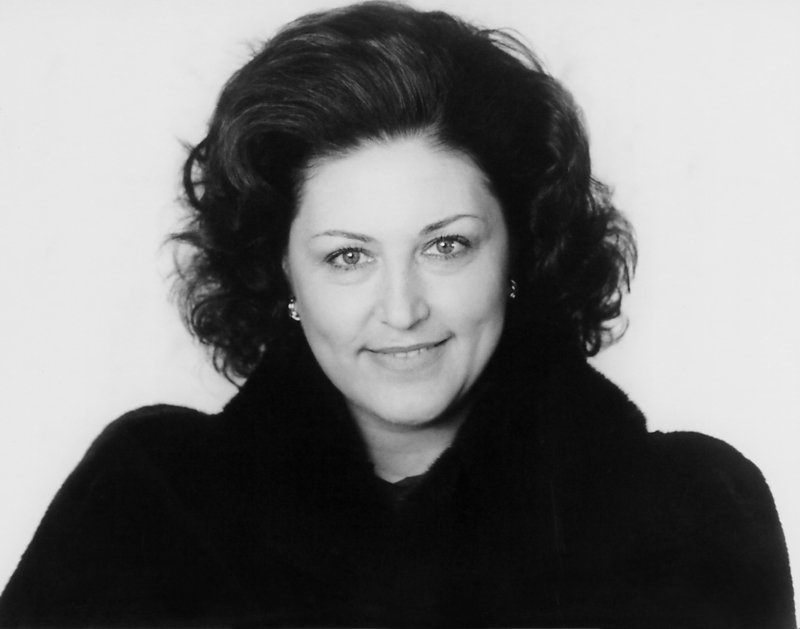 Born in Bulgaria, Anna Tomowa-Sintow is one of the most outstanding stars of the international opera stage. 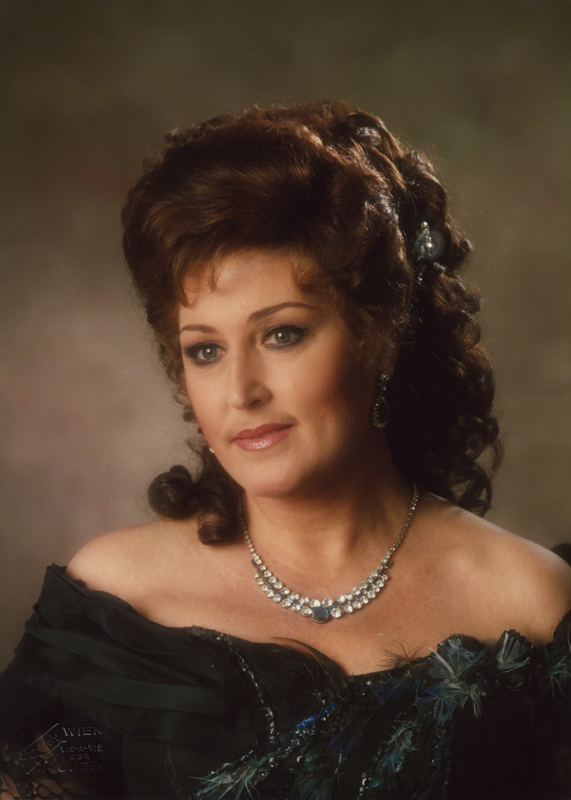 She began her career at the Leipzig Opera and then at the Berlin Staatsoper, where she developed her extensive and versatile repertoire, from the great lyrical and dramatic roles of Verdi, Puccini, Tchaikovsky and the Verismo composers to the German roles of Mozart, Wagner and Strauss. Following her international breakthrough with Verdi’s Requiem in Paris, Anna Tomowa-Sintow has triumphed at all the leading opera houses, festivals and concert halls of the world, from the MET to La Scala Milan, the Salzburg Festival (participating there for 19 consecutive years), Vienna, Paris, London, Chicago, Athens (Megaron), Berlin, Munich, Madrid, Barcelona, Moscow, Tokyo, etc. She sang under the direction of the greatest conductors, including Herbert von Karajan, Carlos Kleiber, Karl Boehm, James Levine, Riccardo Muti, Claudio Abbado, Colin Davis, Bernard Haitink, Lorin Maazel, Zubin Mehta, Daniel Barenboim and Christian Thielemann. Together with the Berlin and Vienna Philharmonic Orchestras, her close collaboration with Herbert von Karajan gave rise to a uniquely creative oeuvre on the stage, in the concert hall and the recording studio. 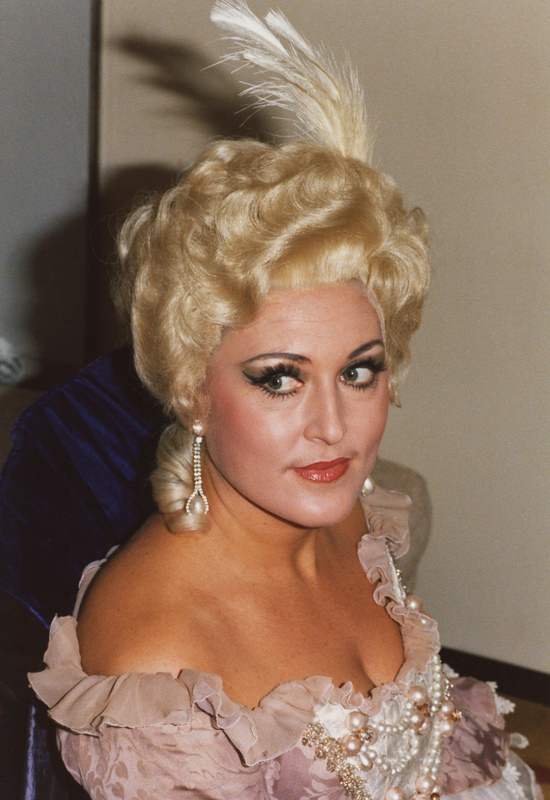 Her vast repertoire includes the leading female parts in almost all great Verdi operas, such as Traviata, Aida, Amelia (Ballo & Simone Boccanegra), Leonora (Il trovatore & La forza del destino), Desdemona, Elisabetta (Don Carlo), Abigaille (Nabucco), Puccini’s Tosca, Butterfly, Manon Lescaut and Turandot, Bellini’s Norma, Mascagni’s Santuzza (Cavalleria) and Giordano’s Maddalena in Andrea Chenier, Mozart’s Figaro Countess, Fiordiligi, Donna Anna (with which she made all of her US debuts – at the MET, San Francisco and Chicago), Wagner’s Elisabeth, Elsa and Sieglinde, Tchaikovsky’s Tatjana and Jaroslawna in Borodin’s Prince Igor; last not least her legendary Strauss interpretations of the Marschallin, Ariadne, Arabella, Capriccio-Madelaine, Ägyptische Helena, Salome and the Kaiserin in “Die Frau ohne Schatten” and Korngold’s “Das Wunder der Heliane”. 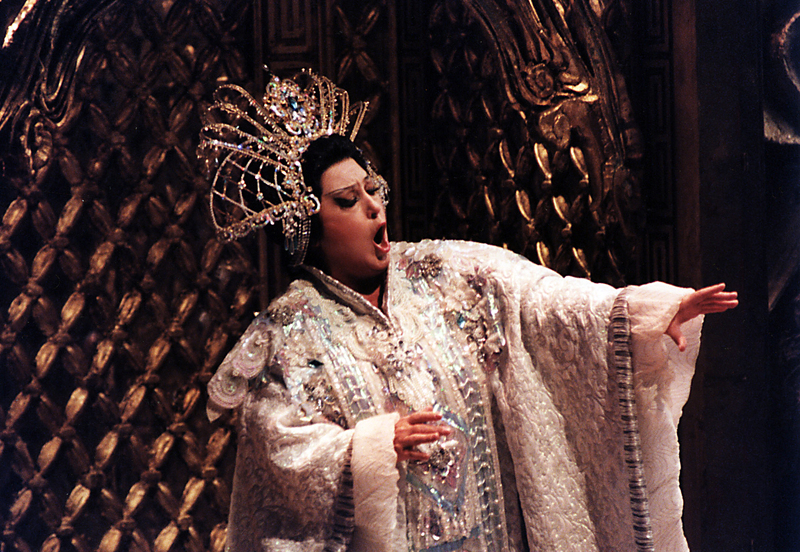 Most of these operas are documented on CD and film/DVD, together with some of her finest singer colleagues, amongst which Placido Domingo, Luciano Pavarotti, Piero Cappuccilli, Ruggero Raimondi, José Carreras and many others. She has been awarded prestigious prizes, including two Grammy Awards for her “Ariadne auf Naxos” (under James Levine) and Don Giovanni (Donna Anna, under Herbert von Karajan) and the Orphée d’or for Strauss’s “Four Last Songs” and the final monologue from “Capriccio” under von Karajan. 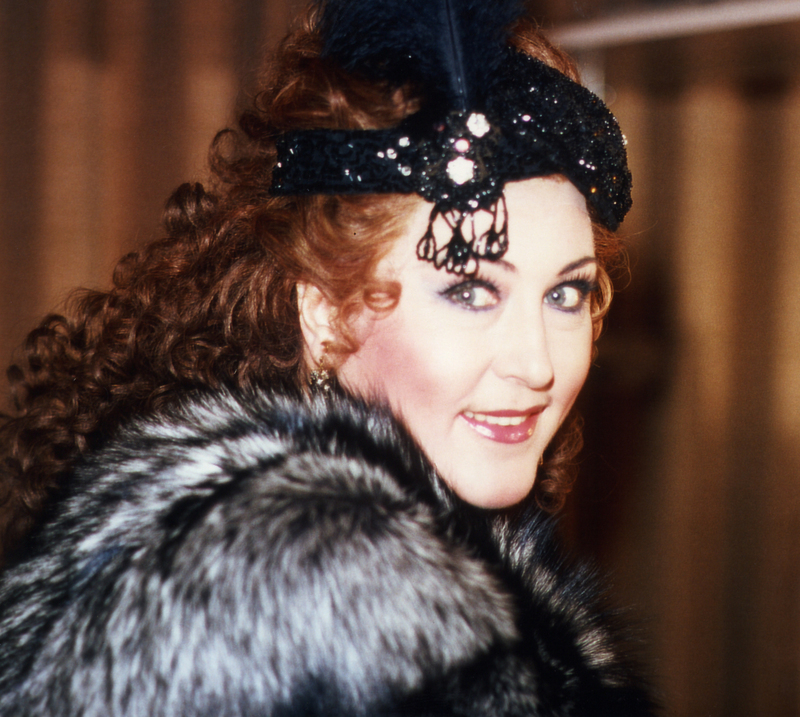 Renowned for her incomparable artistry and stylistic versatility – whether performing the Italian, German or Russian repertoire – Anna Tomowa-Sintow carries the title of “Kammersängerin” of both the Vienna State Opera and the Berlin State Opera. She is also featured on a US stamp, issued during the Verdi year 2001 which shows her as Desdemona at the Vienna State Opera. Her performance of Elvira’s aria “Ernani, involami” marked a highlight of the MET Centennial Gala and was chosen by “Opera News” magazine as the “best interpretation of the piece ever recorded”. A highly sought-after teacher, Anna Tomowa-Sintow regularly holds masterclasses at the major international music centers such as the Salzburg Summer Academy, the Schleswig-Holstein Music Festival, at the Royal Opera House Covent Garden in London, the Munich Theater Academy and the Munich Nationaltheater, the Academia Vocalis, the Richard Strauss Festival in Garmisch Partenkirchen, the Verbier Festival (2017), the Staatsoper Berlin, as well as in Japan. She is also a regular jury member at major international singing competitions. In 2013 and 2014 she performed to great public and critical acclaim the part of the Saburova in Rimsky-Korsakov’s “Die Zarenbraut” under Daniel Barenboim at the Staatsoper Berlin and Milan’s La Scala. The production by director Dmitri Tcherniakov was also recorded for Television and frequently broadcast on the German television stations ARD, ARTE and Classica. In September of 2017 she returned to Berlin for the grand reopening of the Staatsoper Unter den Linden, performing the prologue in Robert Schumann’s “Faust Szenen” conducted by Daniel Barenboim. 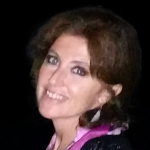 March 2018 saw Anna Tomowa-Sintow’s celebrated return to Barcelona’s Gran Teatre del Liceu in the role of Madelon in a David McVicar production of “Andrea Chénier” conducted by Pinchas Steinberg and further featuring colleagues Jonas Kaufmann, Sondra Radvanovsky and Carlos Álvarez.